Iolite displays different colors when viewed in different directions. 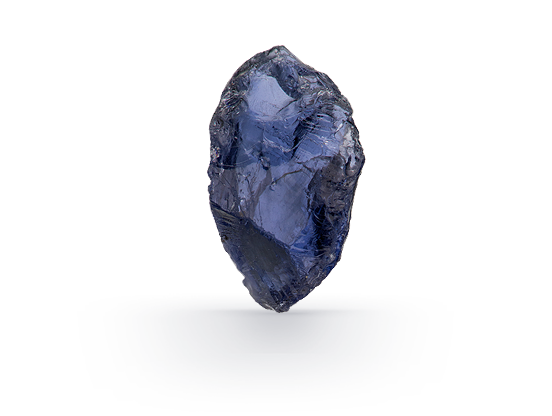 Iolite is usually faceted to highlight its transparency. 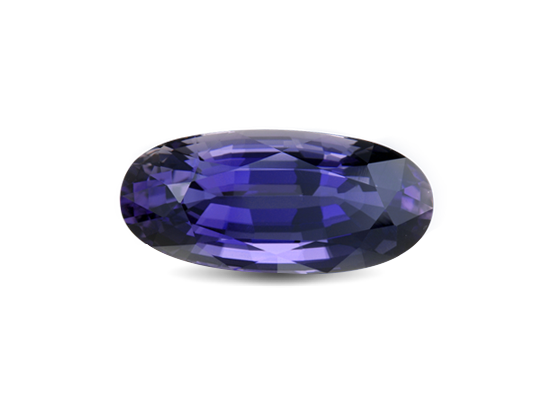 Iolite’s finest blue color can rival tanzanite’s vivid hue. Iolite’s pleochroism can be a challenge for cutters. Iolite is not treated for color enhancement. The mineral cordierite is known as iolite in the jewelry industry. In legends, ancient Viking navigators used thin slices of iolite as filters to help locate the sun on cloudy days. Whether or not the tales are true, iolite (mineralogists call it cordierite) can be fashioned into beautiful gems. Strongly pleochroic iolite has been incorrectly called “water sapphire,” as it can display a blue to violet hue in one direction and pale yellow to colorless in another. Iolite is the gemstone for the twenty-first wedding anniversary. Iolite’s name is from the Greek word ios, meaning violet. When you turn iolite, you’ll see three distinct colors in three crystal directions. Iolite is not typically treated. This is an attractive selling point for some consumers. In its best colors, iolite can rival the beauty of tanzanite but at a fraction of the cost. Usually transparent, iolite sometimes contains inclusions that cause attractive phenomena. Iolite’s beautiful violet-to-blue hue is due to the presence of iron in its structure. The following factors combine to determine an iolite’s value. Iolite’s most desirable colors are in the violetish blue to fine blue range. Properly oriented inclusions can cause cat’s-eyes and aventuresence. Iolite is most often faceted, as this cutting style serves to highlight its fine transparency. Fine-quality faceted iolites over five carats are relatively rare in the market.